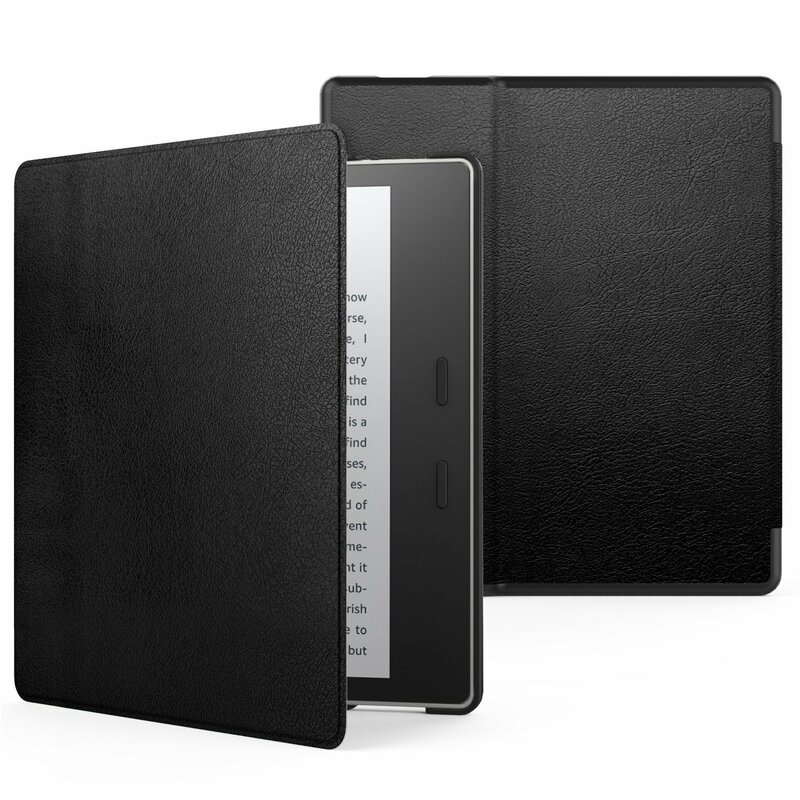 Third-party covers for the Kindle Oasis are here! Not too long ago, I wrote a post on the bad reviews about the Amazon-branded Kindle Oasis cover. Customers were also complaining on the Amazon forums about the poor performance of the expensive covers. But because the re-designed Oasis was so new, there were no third-party covers available with the launch of the new e-reader. Thankfully, that situation has changed with new cases, sleeves and covers for the 2017 Oasis starting to show up on Amazon, including covers from long-time cover makers Moko and Fintie. If you prefer a sleeve rather than a case for your Oasis, several that have been designed for the new Oasis are available. Because people seems to be SO dissatisfied with the Amazon covers for the Oasis, these covers seem to be selling VERY quickly and their availability varies considerably (even from day to day). I am seeing some of these covers go back and forth between Prime shipping and third-party, which is not eligible for the free Prime shipping. Also note that if you are searching for covers that fit the All-New Kindle Oasis E-reader, they will say 9th generation, 7 inch or Kindle Oasis 2017 in the description. Covers for the previous Oasis are listed as 2016 model, 6 inch or 8th generation. Prices on the new cases seem to be averaging between $10.99 and $18.99. I bought the Moko clamshell cover and am quite happy with it. (Review to follow shortly). What about you? Have you been looking for a new cover for your 2017 Oasis? This entry was posted in eReaders and tagged accessories, covers, Kindle Oasis, sleeves. Bookmark the permalink. ← Happy 10th birthday, Kindle! I’m hoping someone will release a genuine NATURAL leather clamshell case soon. Does anyone know what or whether Amazon is doing about replacing their (now withdrawn) leather covers? John, most of the third party covers I’ve seen are geared towards people who are looking for inexpensive or highly personalized, so I doubt that there is much of a market for real leather clamshell covers. You may be able to find something in leather from a handcrafted leather dealer that makes e-reader covers like Oberon Design, but I think clamshell is going to be hard to find.